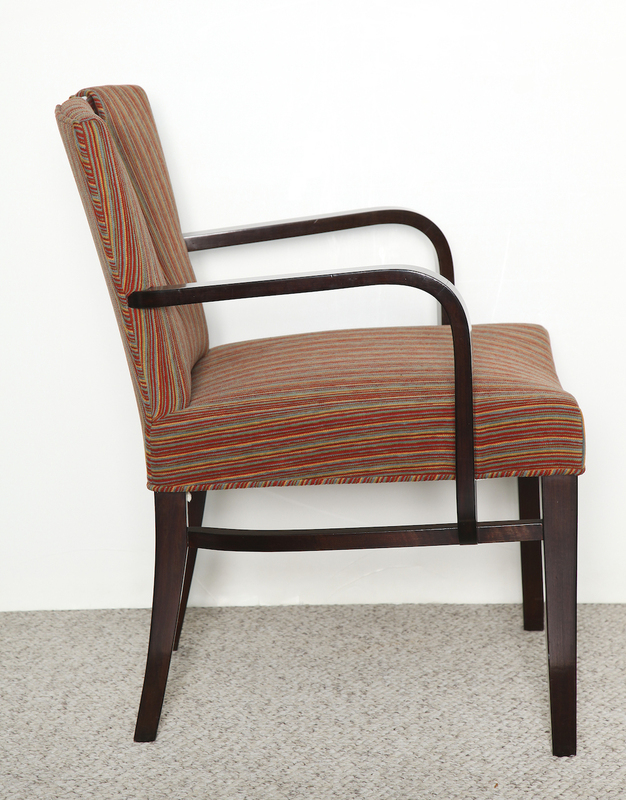 Dark stained mahogany frame with modernist lines and open arms. Cutout, plunging neckline to upholstered seat back. 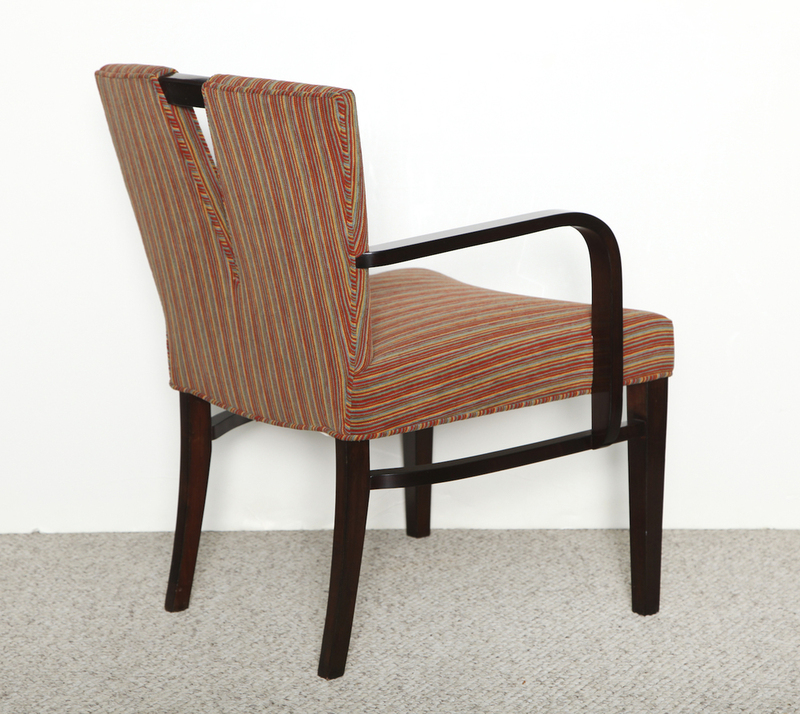 Up to four of these armchairs are available. h. 31.5" w. 25.5" d. 26" Seat: h. 18"